(TibetanReview.net, Sep08, 2014) – Despite having adopted an official position that the application for a visa for Tibet’s exiled spiritual leader, the Dalai Lama, to attend the 14th World Summit of Nobel Peace Laureates to be held in Cape Town from Oct 13 to 15, was still under process, the Mayor of the host city has confirmed that her government had already decided not to allow the trip. 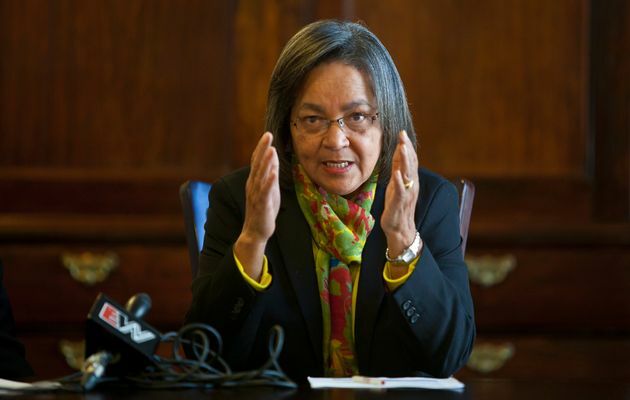 Executive Mayor Patricia de Lille has accused her government of being disingenuous about the issue – having made up its mind not to grant the visa and yet maintaining an official position that it was still under process. The statement further said The Mandela, Luthuli, De Klerk, and Tutu Foundations, which are organizing the summit for the first time in South Africa, will be writing to President Jacob Zuma, appealing to him to intervene and ensure that a visa is granted to the Dalai Lama so that he can attend the summit. The statement said past recipients of the Nobel Peace Prize (including former heads of State) will also write a petition to Mr Zuma. “Nobel Peace Laureates who have already signed the letter of appeal to President Zuma include President Lech Walesa, Mairead Corrigan Maguire, Muhammad Yunus, Jody Williams, Betty Williams, Tawakkul Karman, Leimah Gbowee, and Bishop Carlos Filipe Ximenes Belo,” the statement said.